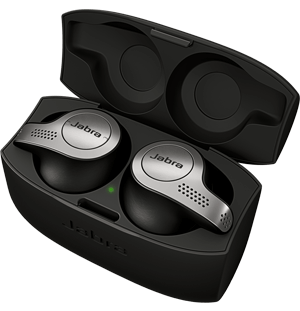 NEW YORK, July 12, 2017 – Today at CE Week 2017, audio and communications specialist Jabra announced an upgrade to its Jabra Elite Sport true wireless earbuds. The new version provides users with 50% more battery life, enhanced capabilities for personalizing sound and new color options. Drawing on the expertise of the GN Group’s long-standing headset and hearing aid expertise, Jabra continues to pioneer unparalleled sound and battery capabilities with the launch of the upgraded Elite franchise. The upgrade features 13.5 hours of battery life, enabling consumers to enjoy a full day of continuous listening without adding to the weight or depth of the earphones themselves. In addition, users can personalize their sound with equalizer profiles and settings and choose from a new Lime Green Gray color option. Jabra Elite Sport proves to be the most technically advanced, true wireless sports earbuds* available. The product delivers freedom of movement, ground-breaking in-ear fitness analysis and a distinct focus on the in-call experience, delivering superior audio quality for calls and music without wires. 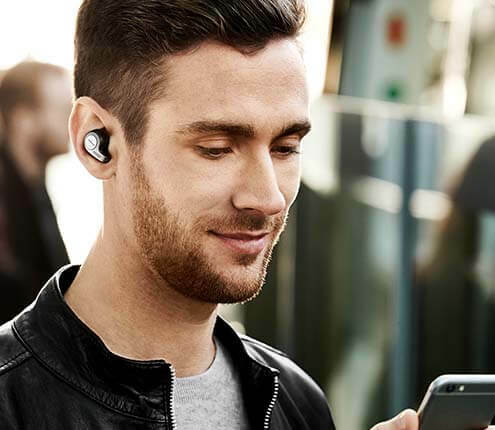 According to leading market research Jabra Elite Sport is in the top three selling true wireless products in the key markets across Europe and North America** and has established itself as the premium choice for runners and audiophiles, who are looking for a technically superior solution. Existing Jabra Elite Sport users can benefit from the software functionality including equalizer profiles and settings via the software upgrade to the supporting Jabra Sport Life app. MSRP is USD 249.99. Lime Green Gray edition available now in the US exclusive to BestBuy and will be available in selected channels across Europe and APAC from Q3. Black edition available in all channels in US and Canada now and will be available in all Jabra channels across Europe and APAC from Q3.